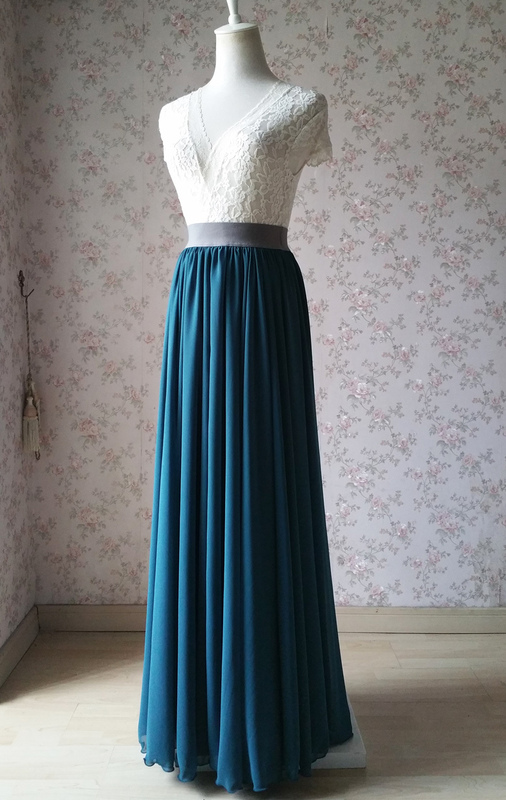 1) This is a simple chic and fashionable long maxi chiffon skirt. 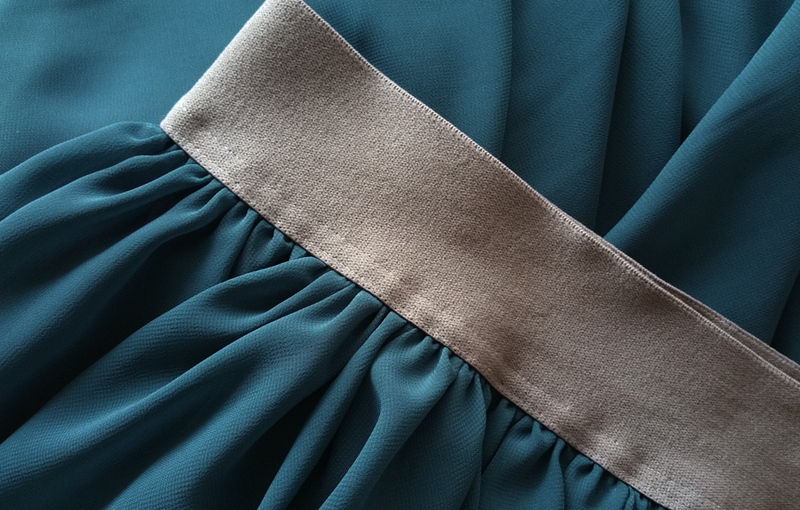 2) Color: Teal Green as picture showed. 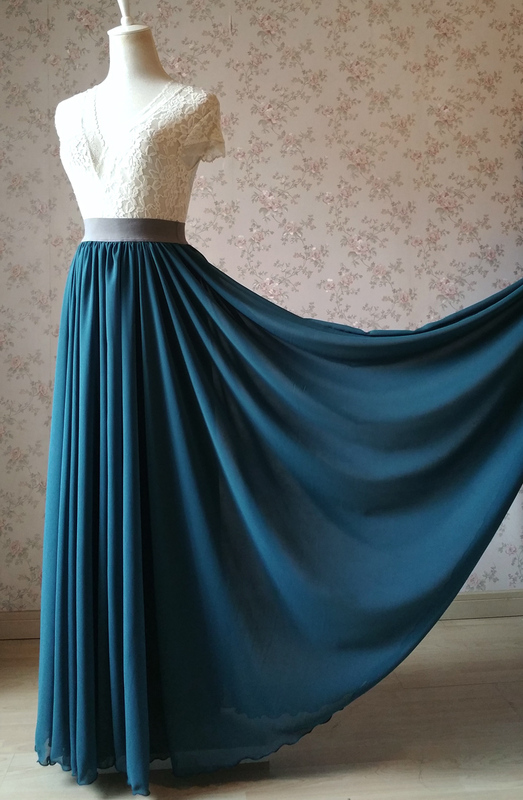 It's a special and beautiful color, best for the unique wedding party. 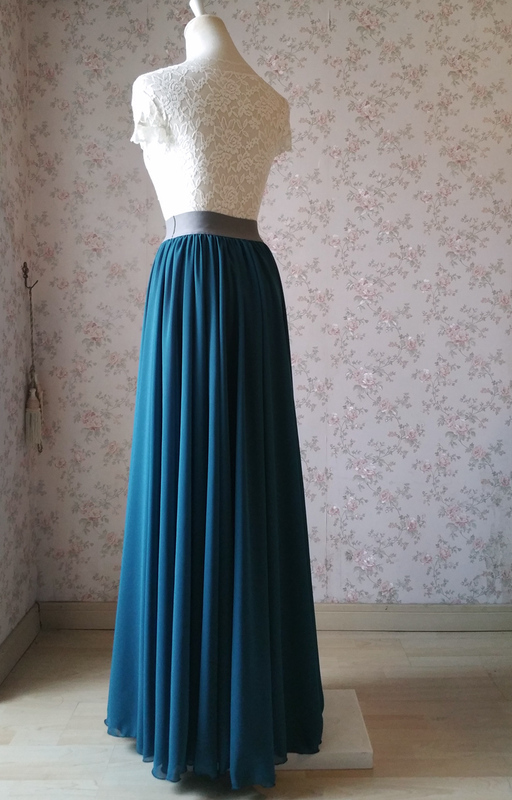 Many Colors also avilable. Just have a look at our color chart. 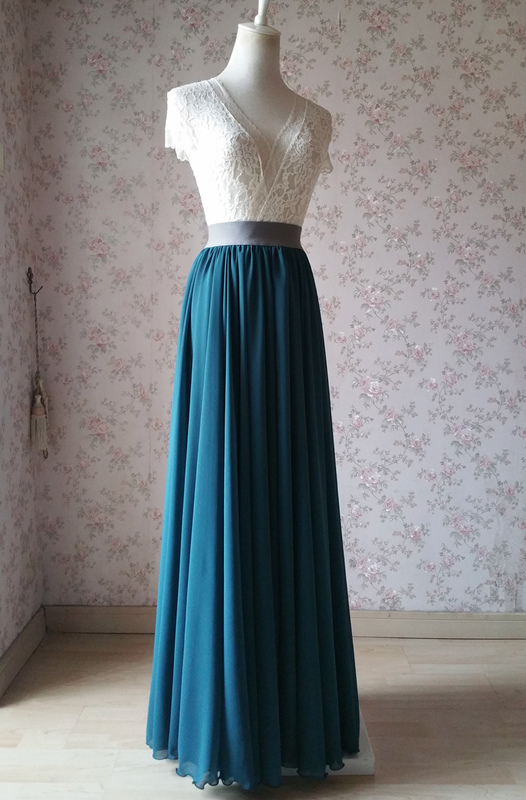 3) Waistband: Elastic and comfortable waistband, we can make it as of your waist size. Just tell us your waist measurements in the note. 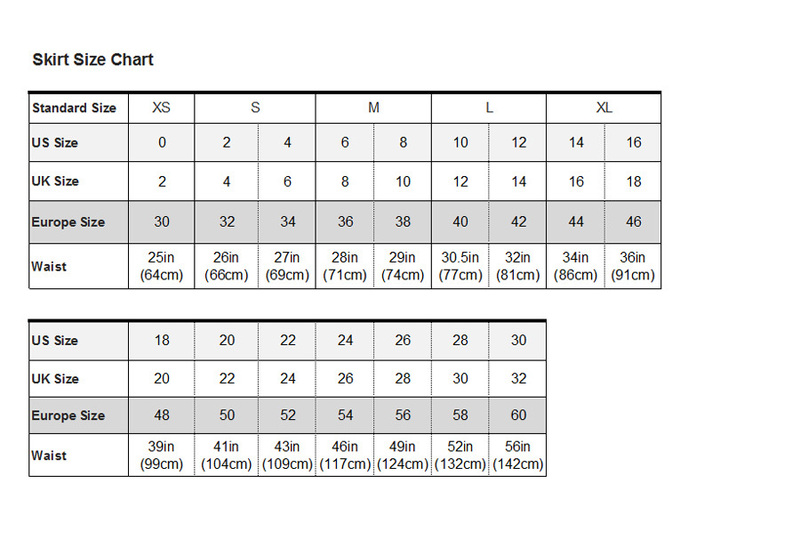 Please check the size chart in the pictures. If you need assistance, please let us know. 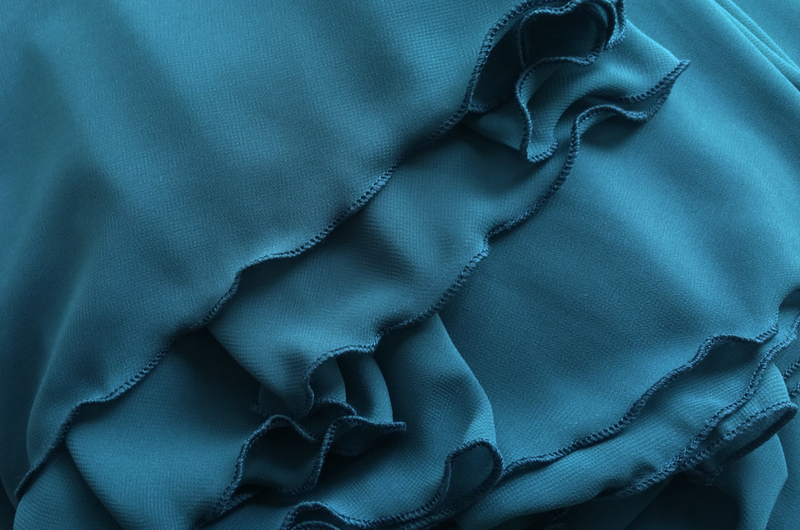 7) Fabric: Top quality silky and light chiffon, which is different from ordinary chiffon fabric in the market. 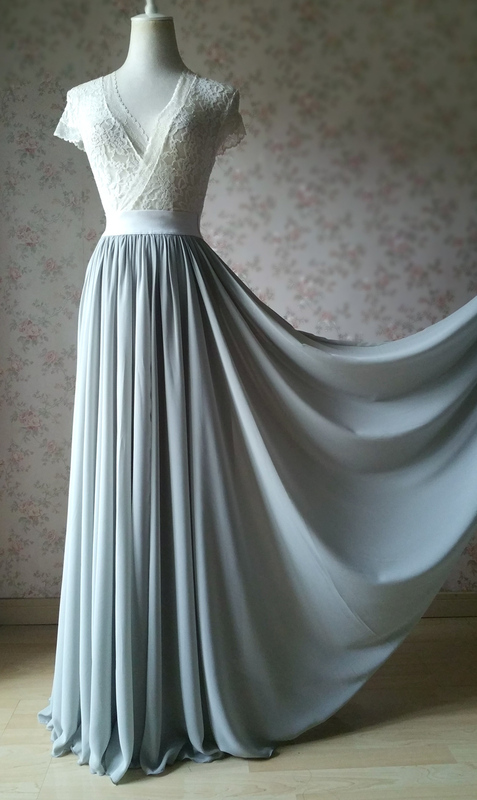 You would feel its softness when you wear it. 8) Our processing time is around 1 week, if you need it for special occasion; please let us know firstly by email. 9) Custom made service available. We can do it as of your request.